We really love our new mugs. 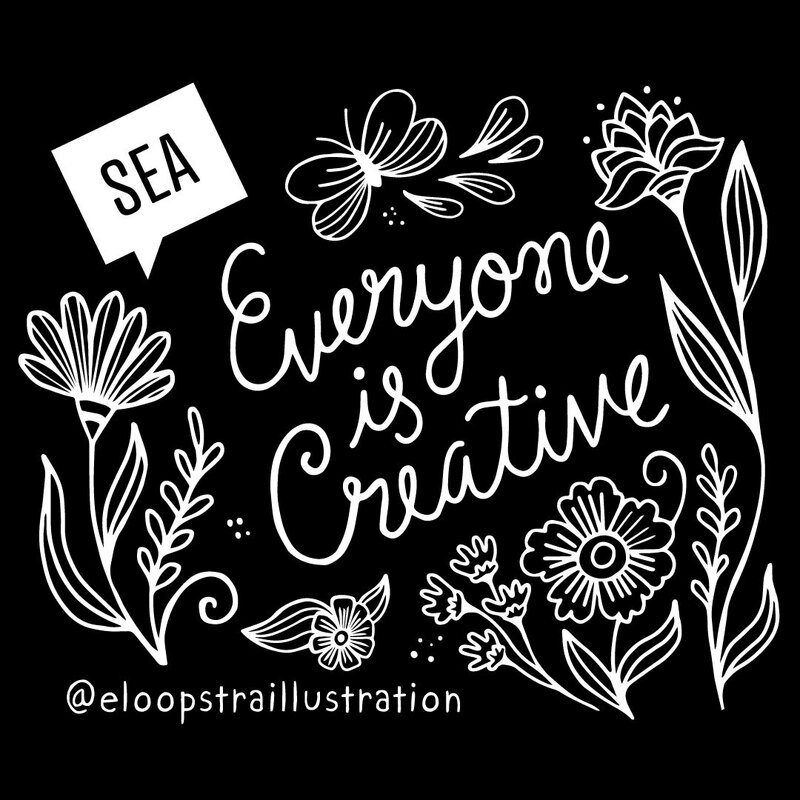 Meet Esther Loopstra she is a illustrator specializing in food and travel, hand-lettering, & surface design. Her illustrations are an extension of her perpetual curiosity and radiate whimsy, dreaminess, and fluidity. Her work has been used for print ads, editorials, books, stationery products, & textiles. (Q) How did you get into illustration work? (A) I went to school for Illustration at Minneapolis College of Art & Design. When I was in school I worked as a graphic designer and also did editorial freelance work, illustrated my first children’s book and worked at Target headquarters creating illustrations and designs for products. This gave me a good starting point and a lot of experience so that when I got into the professional world I had a lot of options. (Q) At what point in your life did you realize that illustration was your calling? (A) When I first got out of high school I went to college and studied Psychology. I took a break from college for a long time, and after a while I began taking drawing classes again. This really sparked my love of drawing again and then when I went back to art school I knew I wanted to draw for a living. (Q) How has your work evolved over time and what were some influences that caused it? (A) I feel like I’ve brought more of myself into my work over time and it’s become a bit more sophisticated. Taking time to do work for myself just for fun (like drawing in my sketchbook or painting) allows me to access more of my style and bring it into my client work. (Q) What are you currently working on or excited about? (A) I’ve been working on a new Chocolate bar wrapper design for Seattle Chocolates and a lot of textile designs that I’m excited about. (Q) What’s something in your industry that deserves more attention? (A) It would be great if there was more information about how to work with illustrators; how the process works. (Q) Tell us something about yourself that we can’t find on Google. (A) I love reading dystopian novels, cooking Indian food and watching Chef’s Table.